We are committed to helping students develop visual and digital literacy from an early age. Nelle Stokes is Founding Executive Director of Magic Box. She is a member of the Media Arts Writing Team for the National Coalition for Core Arts Standards (NCCAS), and a contributor and Steering Committee member for the NYC DOE’s Blueprint for Teaching and Learning in the Moving Image: Grades K–12—the first sequential and comprehensive guide to media education programs. Nelle has designed curricula for schools and partnerships throughout New York City, and presents regularly on media arts issues at local and national conferences. She is also an award-winning documentary filmmaker. Alicia has dedicated her professional and volunteer careers to the betterment of human health and strengthening communities. She brings over 10 years of experience in marketing and advertising with one of the largest healthcare agencies in the world, where she worked to enhance disease awareness and treatment education of both physicians and patients worldwide. She's an active member of the Junior League of Northern Westchester where she serves as chair of new member recruitment and leads local philanthropic efforts. After a brief sabbatical to be home with her 2 young children, she's thrilled to be joining the Magic Box Productions team. Isabel is joining the Magic Box team with over five years’ experience in the non-profit and youth development world. She is so excited to be continuing her work in creative media education here at Magic Box. Prior to joining the team here, Isabel was a Program Manager at Girls Write Now where she oversaw the Digital Media Mentoring Program. 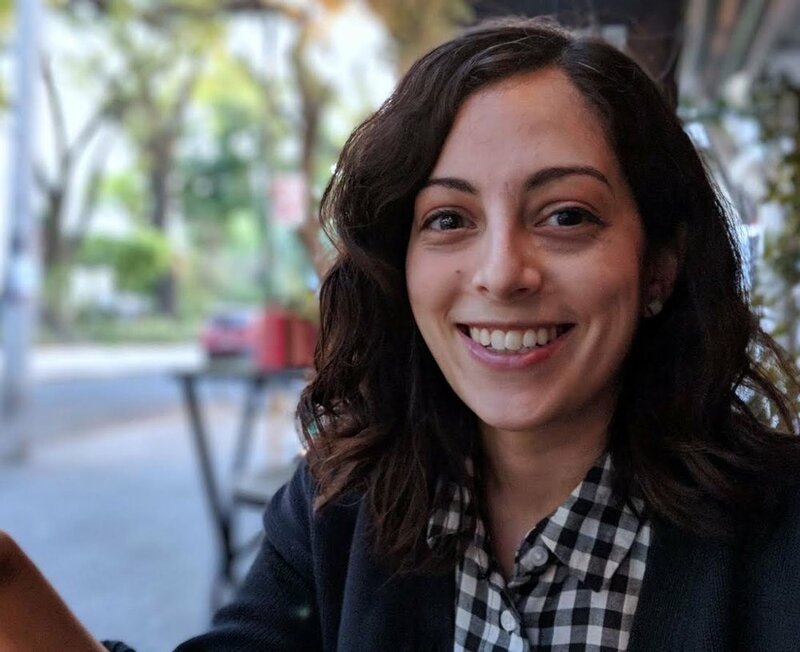 During her tenure at Girls Write Now, she helped expand the program by 35% in addition to increasing overall retention in the Digital program by 39%. Isabel is ready to take her non-profit management experience and work closely with Magic Box’s amazing partner schools and their Teaching Artist community. When she’s not at Magic Box, you can find Isabel either at a bookstore or at one of Queens finest dumpling establishments (most likely with a book in hand). After a professional time-out to be with her her children, Danielle comes to Magic Box Productions eager to bring her knowledge and charisma to the team. With experience in the film and marketing world, Danielle is excited to be part of such incredible organization. She is the chair of PleasantvilleRecycles focusing on recycling, sustainability and all things green in the Village of Pleasantville and is the marketing maven for Films On Purpose, a community-run series showing films on social issues. Nancy has thirty years of experience in the arts as a curator, administrator, educator and journalist. Nancy worked for the Ohio Arts Council (OAC) for eleven years, for whom she managed artists’ residencies, and developed and directed the Summer Media Institute, a graduate level program in media production for K-12 teachers. Later, as a curator at the Kohler Arts Center in Wisconsin, and at Women & Their Work in Austin, she organized numerous exhibitions of national scope. As an independent journalist, Bless produced and co-directed the documentary “Third Ward TX,” which was broadcast nationally on PBS and has been screened internationally at film festivals and museums. For eight years, Nancy was the Executive Director of Texas Folklife, where she oversaw an ambitious calendar of education, exhibition and performance programs. Moved to New York City in 2012 to be the Institutional Funding Officer for Aperture Foundation, before returning to her first love—media education--in her work with Magic Box Productions. Originally from Philadelphia, Bart currently lives in Harlem. He is a graduate of Marymount Manhattan College in 2002. Since he was a child he was always fascinated by many artists. Some of his favorites are Paul Cezzane’, Pablo Picasso, Frida Kahlo, Keith Haring and Jean Michel Basquiat. He felt that these and many others were not only amazing painters but also great storytellers who channeled their emotions into every ounce of their work. This is what he wants to accomplish with his own work. Throughout his journey as an artist he's been commissioned by Nicole Kidman to paint a portrait of her with her son. He's collaborated with Elizabeth Swados on creating a children’s book and backdrops for the La Mama theater. While studying abroad in Oxford, England Bart collaborated with musicians and created a live painting to music while slides of his images were projected on stage in the Balliol College dining hall. He then performed at the Bowery Poetry Café painting to Hip Hop and House music. Stephen Kwok is an artist and educator working with live performance, experimental events, and installations. He holds a Masters of Fine Arts from the School of the Art Institute of Chicago and a degree in Business Administration from the University of Southern California. He was an artist-in-residence at Delfina Foundation's Performance as Process Programme in London, and has exhibited his work at Haus der Kulteren der Welt in Berlin, The Center for Performance Research, American Medium, Julius Caesar, Chicago Cultural Center, Gene Siskel Film Center, and the Lawndale Art Center in Houston. He currently lives and works in Brooklyn. Meet some of our talented teaching artists, all of whom are both practicing media artists as well as educators. Danilo Randjic-Coleman is a director whose work has been selected for multiple film festivals. He has been with Magic Box since 2009, and is a licensed teaching assistant and substitute teacher. Danilo graduated from Hampshire College with a Bachelor’s degree in Film, Video and Music Production. Haley Shibble is a multidisciplinary artist and educator, primarily interested in experimenting with motion and interactive media. In addition to her own personal work, she has worked with a number of NYC based organizations to bring visual art, game design, and animation programming into the classroom. Andrea Goldman in an interdisciplinary artist and educator who makes video, photographs, and music. She is currently working on several projects, including me and ooooo, a collaborative music/video project about books, song, and the possibility of dialogue. Alexis Raskin is an award-winning video artist whose work has been exhibited at such venues as MASS MoCA, Platform China, the Rotterdam Film Festival, and Gallery Korea. Alexis received her BFA from the Art Institute of Chicago and an MFA from the School of Visual Arts. Fluent in Mandarin, she was a teacher at Gong Yang University in Taiwan and has taught ESL for over 10 years. Kostas Kiritsis is practicing artist. He uses photography as a tool to create Artist Books. His work is exhibited in galleries in New York and Europe. As Teaching Artist he uses his unique approach to teach, among other things, Visual Literacy, Digital Media, Film and Video and of course Photography. He is a PhD candidate at University of Arts in Poznan, Poland. Fany de la Chica is an Andalusian (South of Spain) filmmaker based in New York. Her first shot documentary "Round Trip" was funded by the Spanish Culture Ministry, pre selected for the Goya Awards and broadcasted on Spain television. She is studying a MFA Directing/Screenwriting at Columbia University. Alex Faoro is a Brooklyn-based education and filmmaker. His work deals primarily with concepts of nostalgia, absurdism and mortality. Over the past years he's developed curriculum and instructed classes in a matter that promotes critical thinking and experimentation. Hank “Coyote” Wagner is a media-in-education specialist who has worked for 20 years bringing creative projects into schools all over New York City and the surrounding area. He is the executive director of his own entertainment company, Coyote Love Entertainment and he brings his knowledge of music, digital media and creative entrepreneurialism to each class he teaches. Katherine Bourbeau is a photographer, digital media specialist and teaching artist. She has worked as a photography editor for many media clients, including Time and Life magazines, ABC News and the New York Times. She loves introducing students to the art and science of digital photography, teaching literacy, collaboration and professional media skills along the way. 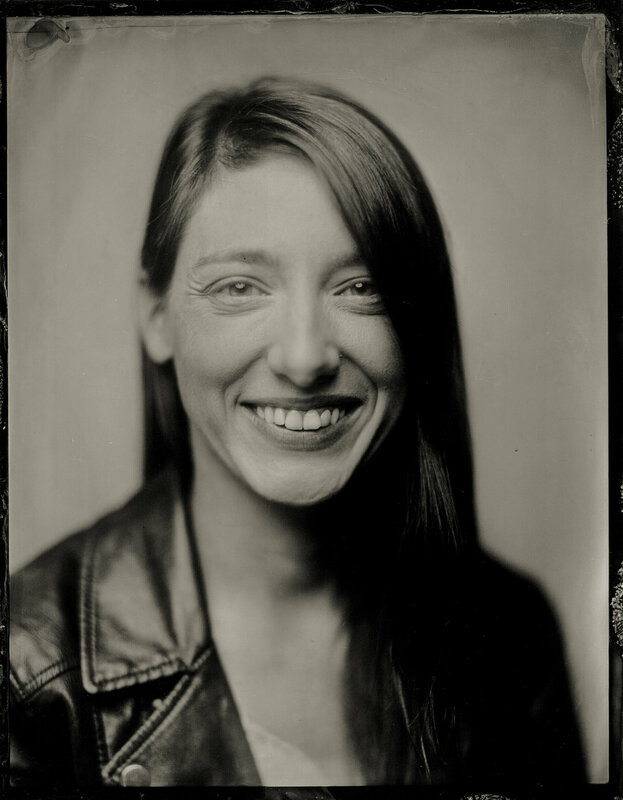 Jessica Bal is a documentary photographer and filmmaker primarily working on stories that explore women’s issues. She has produced work for The New York Times, VICE, The Miami Herald, and Narratively and received fellowships from the IWMF, Magnum Foundation, and Fledgling Fund. She produces education programming at United Photo Industries and brings a passion for visual literacy and self-expression to the classroom. Lee McMahon is an interdisciplinary arts educator and designer. He teaches classes in animation, visual arts, digital design and architecture, all of which explore the process of art-making and design discovery. From his training as an architectural designer, he focuses on a process of how to create, and he believes that in that process we can find confidence in our own abilities and ideas. His goal with his students is to expand the ideas of what art is and for them to believe in their own potential. “Belief in our own creativity is sparse in our society, so let's change that!" Sarah Nakhost-Karimi, a photography teaching artist, and specializes in showing the youngest of our students how to explore and create images with digital cameras for the first time. Nataki Alexander-Hewling has worked as a Photo Professional for over 15 years as a Photo Researcher, Editor, and Photographer. She has worked for top publishing houses including Scholastic Inc., and TIME Inc. While at TIME for Kids magazine, Nataki has photographed notables such as Newbery Medal winner Kwame Alexander, Author Chelsea Clinton, Pharrell Williams and many more. Her work can be found inside the print and web editions of TIME for Kids magazine as well as other publications. Nataki is also a writer who has published children’s book reviews as well as poetry for Dialogue newsletter and currently blogs for Mommypoppins.com, where she keeps New York City parents in the know about the fun and educational family-friendly activities that happen on Staten Island. She loves to photograph children of diverse backgrounds and write poetry. She hopes to continue to share her love of poetry and pictures by creating a unique experience for all the people in her community to enjoy. From left to right: Brette Westerlund (MBP Board Treasurer), Suzanne Store, Nancy Barry (MBP Board Trustee), Annette Nash Govan (MBP Board President), Nelle Stokes (MBP Executive Director),and Nancy Camarata (MBP Board Secretary) during the Friendraiser 2017 at the Neuberger Museum of Art. © 2019 Magic Box Productions. All rights reserved.